Picking a honeymoon destination is one of the most joyous parts of the entire wedding process. But when it comes to settling on your perfect destination, deciding when to go is as important as where. High season at your dream destination might be too busy, while low season might come with torrential weather, and wasn't there a special festival you always wanted to attend? Factoring in crowds, rates, weather, and local events, we've compiled our favorite honeymoon destinations for each month of the year. While Norway's stunning glaciers and deep fjords are on full display all year-round, January presents optimal conditions to view the world-famous phenomenon of the Northern Lights. 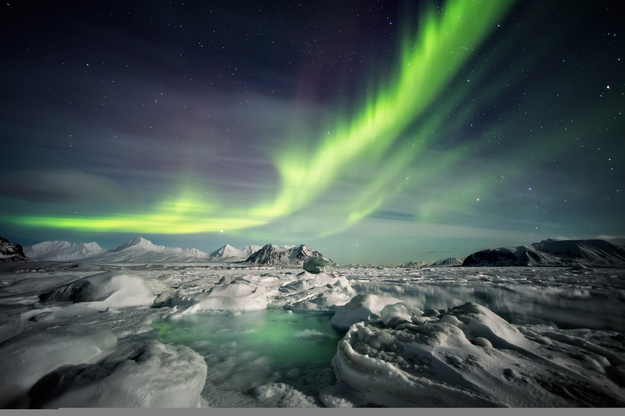 Experiencing the celestial show of colorful lights as they dance across the night sky is an unforgettable honeymoon moment, and although viewings are possible from all across the country, you'll want to head north above the Arctic Circle for all-but-guaranteed sightings. Our pick is the bustling but tiny city of Tromsø, which is billed as the "gateway to the Arctic." You'll have to endure cold weather, but outdoor adventures like snowshoeing, cross-country skiing and reindeer sledding along with cozy pubs and authentic accommodations make this small city more than worthwhile. Singing, dancing, and parading overtake Brazil in an extravagant one-of-a-kind celebration preceding Lent during Rio's Carnival. 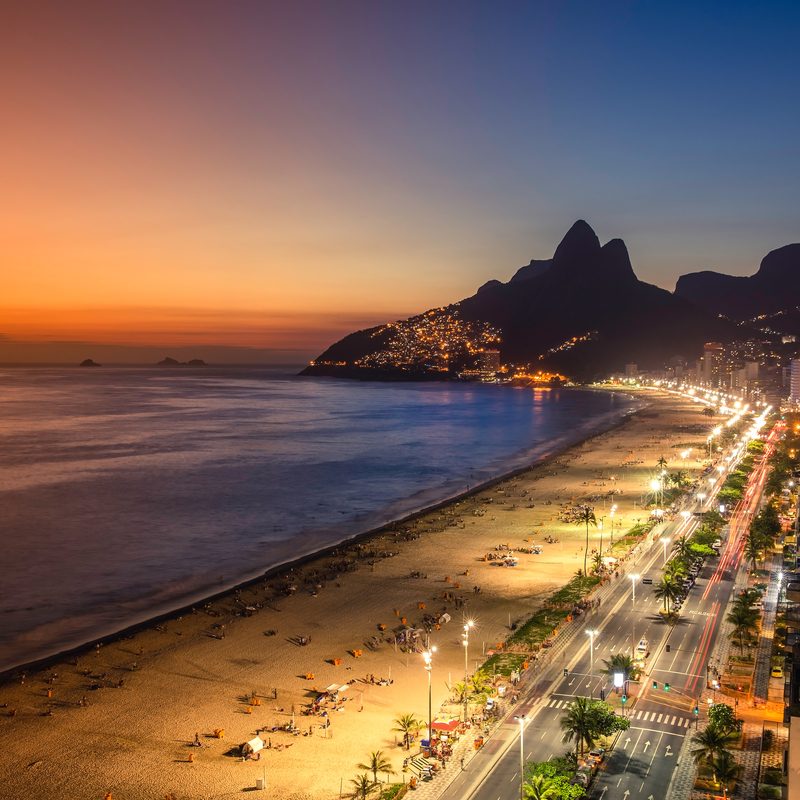 Latin America's largest country, Brazil is a year-round destination noted for samba dancing, delicious cuisine, natural attractions, and a vibrant and welcoming culture, all of which is turned up an extra notch during Carnival. Let loose, get steamy, dance in the streets, and revel in the world's largest Carnival which is felt all throughout Rio - from the Sambadrome stadium to the beaches of Ipanema and Copacabana and beyond - for an epic six days of celebratory bliss. 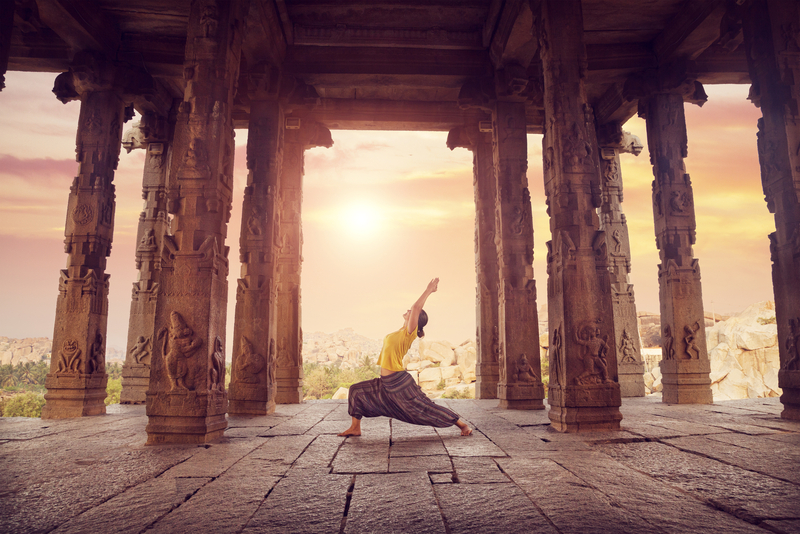 At the foothills of the Himalayan Mountains, the city of Rishikesh in northern India is one of spirituality, considered sacred all across the country, and regarded today as the yoga capital of the world. Honeymoon here in March to enjoy warm, dry weather before the unbearable heat of summer rolls in by early May. Everything from laughter therapy to meditation practices and even sitar lessons is available across these serene lands. Not to be missed is Holi, Hindu's annual spring celebration. This festival of colors sees people throwing colorful powders and water at each other to the sounds of loud music in an exuberant atmosphere meant to celebrate the triumph of good over evil. Spring is the perfect season for canalside explorations by bicycle across Netherland's capital city. 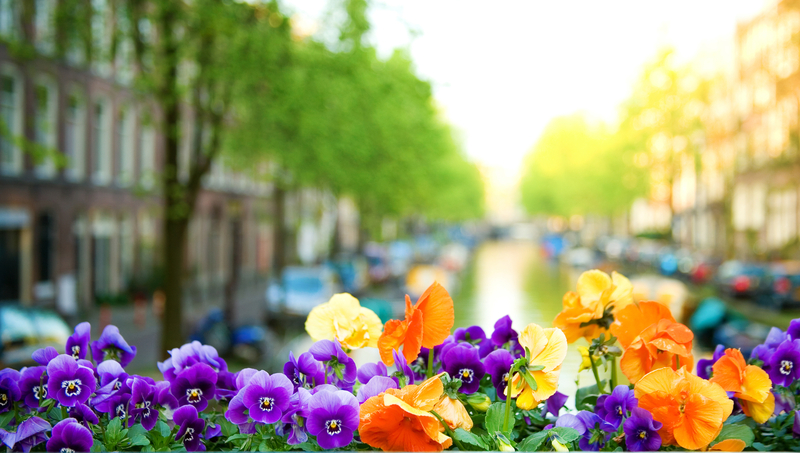 Along with comfortably cool weather and considerably reduced crowds when compared to the upcoming summer months, an April honeymoon in Amsterdam packs the added benefit of witnessing the magnificent blossoming of tulips which turn the city into a colorful canvas. Just 30 minutes from the city center, Keukenhof Park hosts a display of over 800 varieties and 7 million bulbs, making for a sight of true spring splendor. 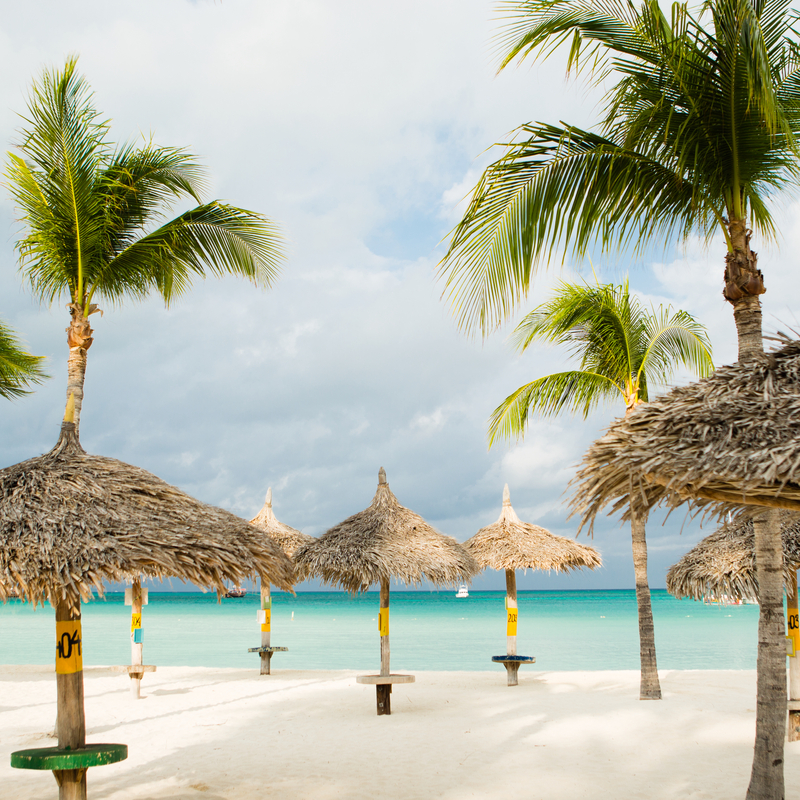 The Southern Caribbean ABC Islands - Aruba, Bonaire, and Curaçao - are year-round destinations where the sun is always shining and the weather is reliably sweet. 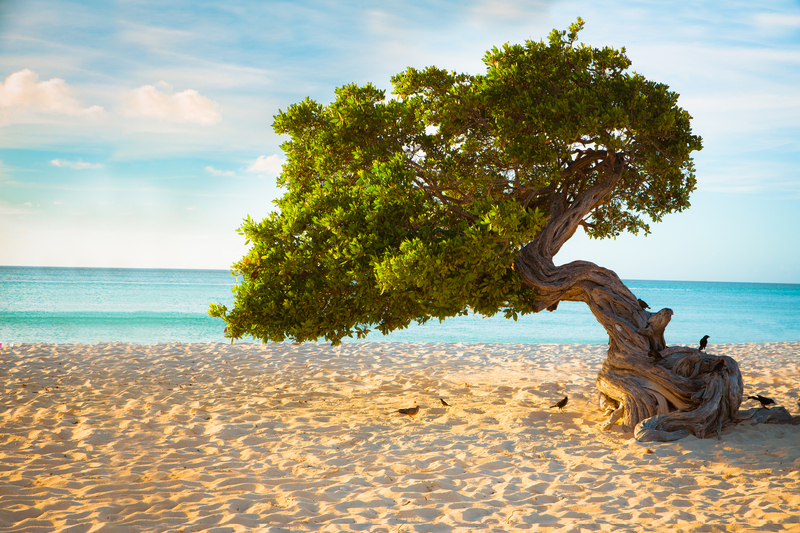 Located safely outside of the Caribbean's hurricane belt, this trio of traveler-treasured Dutch islands make for a perfect beach-centric getaway, where golden shores, deep-sea dives, inspired cuisine, and incredibly friendly locals await. High season extends from December-April, when visitors flock to the Caribbean to escape brutal winters, so a wisely-timed honeymoon in May presents steep discounts in hotel and airfare while taking full advantage of the ABC Islands' breezy, warm climate. The secret is long out on the beauty and allure of the Greek islands. 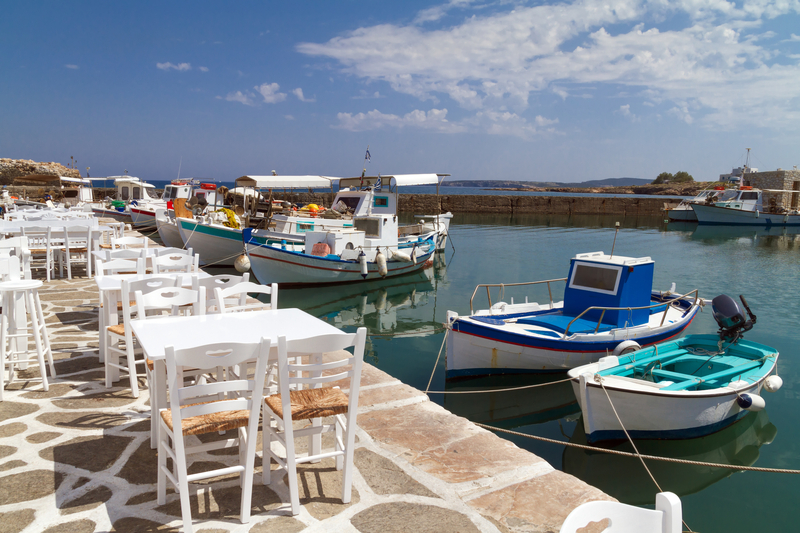 But while everybody loves to mention the magnificent Mediterranean beaches, fresh cuisine, and perfectly Instagrammable accommodations, few will ever touch on the undeniable crowds that swell the Cycladic islands each summer. Visitors in June (particularly early to mid-June) will enjoy the very best of this corner of Greece - from the Cretan countryside to the beaches and parties on Mykonos and surreal views on Santorini - free from the hassle of overloaded tourists. Ring in American Independence Day with an Alaskan honeymoon in July to enjoy the very best that this behemoth state has to offer. 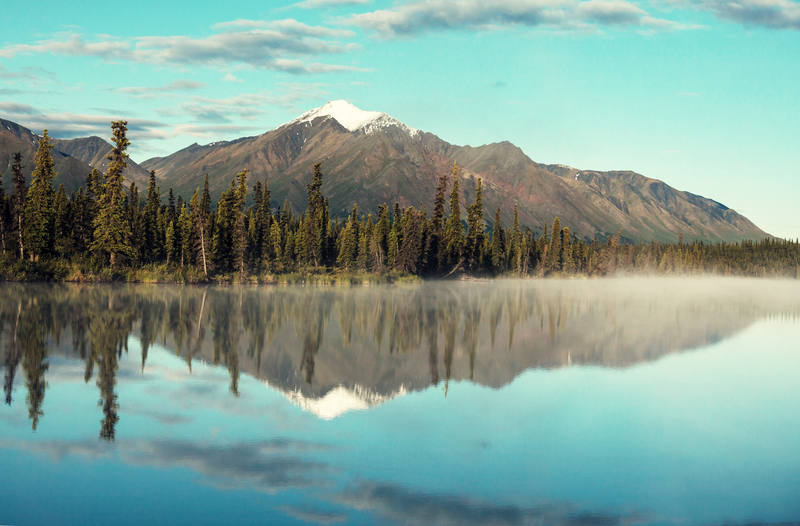 Warm weather and extended daylight (up to 18 hours in July) allow for seemingly endless explorations of Alaska's many great mountains, forests, rivers, and Denali National Park - the state's most significant natural attraction. Whether you opt to go on a cruise and spot whales, traverse through the state via train journey, or you're looking to explore as much of the 6 million acres of massive Denali Park that your trip will allow, July is undoubtedly the best time to get acquainted with America's Great Land. August is part of South Africa's winter, but this isn't winter as you may have come to know it. 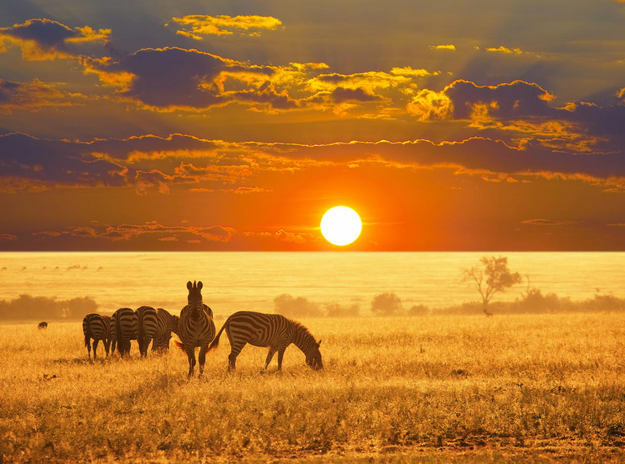 South African winters are comfortably warm and dry, with temperatures ranging from 40°F-60°F - perfect for city explorations - and even stretching into the 80s in certain parts of the country (because who doesn't want to mix in a beach visit during their honeymoon?). Take advantage of the cool weather to get to know southern Cape Town intimately before venturing inland for a safari tour in Kruger National Park, famed for frequent sightings of the Big Five. August, with its (relatively) cooler temperatures and bare trees, is an ideal time for game viewing. Lo and behold, Oktoberfest in Germany actually takes place primarily in September. The world's largest beer festival and funfair takes over Munich for over half a month, when more than 8 million liters of beer are served to 6 million+ international visitors - part of the national cultural event that has been celebrated for over 200 years. Numerous attractions, amusement rides, and flavors of authentic German cuisine are also on display, but if beer isn't your ideal beverage, don't dismiss Germany in September altogether. Wine festivals are taking place all throughout the country, and colorful fall foliage, Indian Summer warm weather temperatures, and discounted hotel and airfare rates (outside of Munich) make this an increasingly tempting time to head over to Deutschland. With rain season coming to an end, October is a perfect time to take advantage of smaller crowds and cheaper rates across all of Mexico while still enjoying pleasant weather. 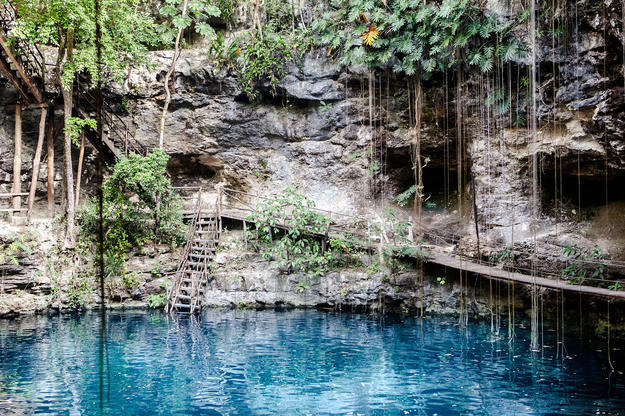 Consider an all-inclusive beachfront resort for an easy honeymoon getaway with a focus on fun in the sun, or get to know Mexico's cultural roots by hiking Mayan ruins, visiting archaeological parks, and diving into stunning cenotes. Stick around through the end of the month to partake in Mexico's Day of the Dead, where locals parade and celebrate in festive fashion to honor and remember deceased family members. 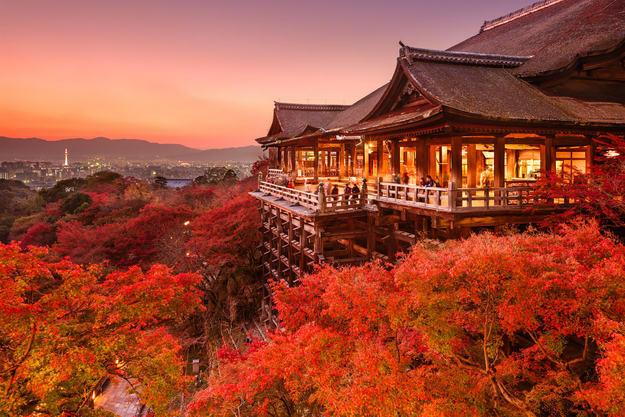 Cherry blossom season brings hordes of visitors to Japan each spring, but we think the country is at its best during the heart of autumn when colorful fall foliage of ancient maple trees line vistas as far as the eye can see. Former capital city Kyoto is peaceful, romantic, and packed with cultural attractions for honeymooners, from ancient shrines and temples to buzzing culinary markets. Along with perfect weather for sightseeing, November also hosts one of the city's largest and oldest Geisha dance performances across a span of ten days at Gion Kaikan. What can be better than strolling the classically romantic streets of a European capital city with a cup of hot cocoa in hand across a long winter's night? Maybe doing so in between hopping from holiday markets to cozy pubs filled with festive cheer. Winter honeymoons don't have to be centered on beach escapes - sometimes confronting the cold is exactly the key to a magical honeymoon. 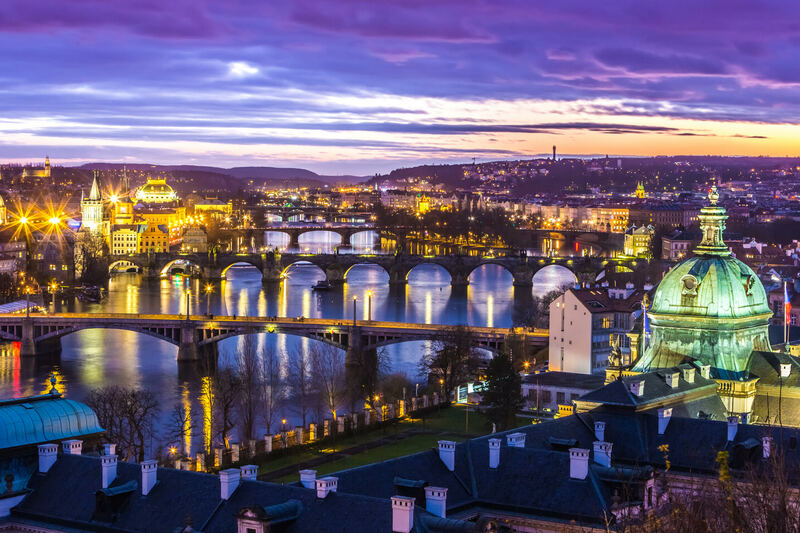 Head to Prague's Old Town Square marketplace and scour this world-class outdoor market for a memorable souvenir. After exploratory days of seasonal exhibits, snug restaurant visits, and theater performances, be sure to take a moment to soak in Prague's stunning architecture - this city was practically built to be appreciated in winter.